In this blog I’m going to talk to you about why fly tipping is such a problem in the Leeds and West Yorkshire area. This is based on my own experiences over the 10 years of clearing all types of waste, including fly tipping. I’m sure if you live in that area of the country, you’ll have seen first hand what I’m talking about. 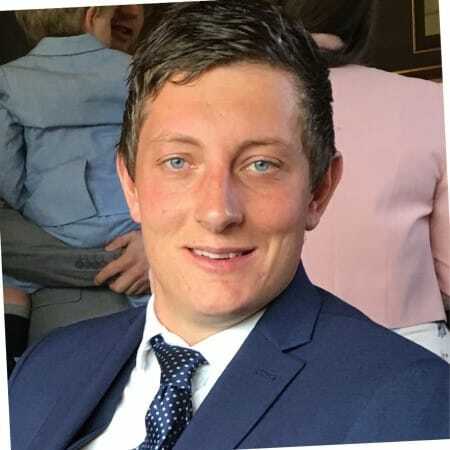 My name is Tom Pickering from a company called Cleanup and Clearance, Yorkshires largest ‘man and van’removal company. Established since 2010. So, what is fly tipping? Fly tipping is the illegal dumping of waste. This can be any type of waste. From black bag waste, right through to hazardous waste such as asbestos, fridges, or gas bottles. The term covers all illegally dumped waste from both domestic and commercial properties. 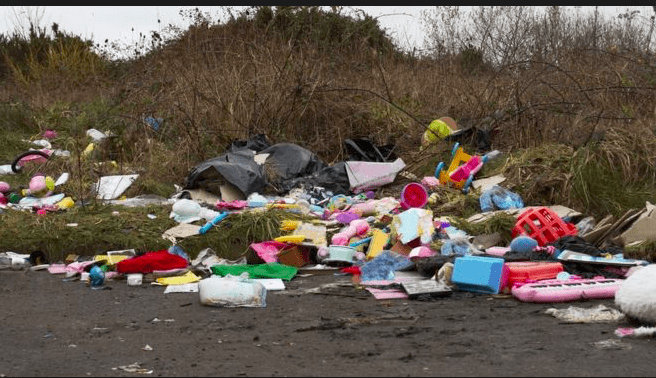 I thought it might be interesting to talk you through the five main culprits who fly tip, starting with number five, which is the least popular. In the trade these businesses are known as ‘transfer stations’, such as skip yards, that go out of business. It’s actually more common than you may think. These companies stockpile all their waste until they have so much, they cannot afford to get rid of it. Instead of disposing of it legally, which comes at a price, they literally dump it somewhere and create a fly tipping site. The man and van rubbish removal “people”. I won’t refer to them as companies because those guilty of fly tipping aren’t professional. They charge customers low rates to remove rubbish. This means they don’t earn enough to cover the disposal fees associated with disposing of waste legally and so they dump it anywhere. Again, creating fly tipping sites. Tradesman. All types of trades from kitchen fitters, bathroom fitters, carpet fitters, really any type of trade. Often, they don’t have enough waste on site to warrant the cost of a skip. Or they haven’t got enough profit in the job to be able to pay for professional rubbish removal. Trades cannot take their vans into a local Council tip. So, they have a couple of choices. They can take it home in the van, transfer it to their personal car and take it to the tip, which is a lot of hassle. Or they can just dump it somewhere creating a fly tipping site. Please don’t think I am saying all tradesmen operate like this. Some are incredibly ethical and dispose of everything the correct way. However, from my years of experience, the number three fly tipping culprit is tradesman. Businesses. Any type of business, from a take away, to a hairdressers, to a restaurant. If their bins become full, these businesses tend to dump their extra black bag waste illegally, usually in close proximity to their premises. Because it’s commercial waste they can’t take it to the local Council tip. The majority of these businesses do not understand they can have a rubbish removal company pick up additional waste as and when they need it. Or they don’t see the value in using such a service and don’t want to cover the costs of it. Now this may surprise to you. And, as I said, this is not based on statistics. This is based on ten years of clearing fly tipping sites across the Leeds and West Yorkshire area. The number one culprit of fly tipping is people like you and me. I’m talking about household waste. People having overflowing bins. They don’t want to have to pay to get rid of the excess. They may not have transport to be able to take it to a Council tip. Or they don’t have the money to pay for a man and van collection or a skip. This waste quite often makes it on to the streets. It may look like it’s just a mattress or a black sack, but any waste that is on the public highway, public property (or even private property that has been dumped without permission), is classed as illegal fly tipping. So, they are the top five culprits of fly tipping. Why am I writing this and why is it so important to make sure its reduced or eradicated altogether? One, it’s extremely unsightly for people who live in the area and, as it can be unhygienic, it can attract vermin such as rats. Two, it can cause damage to waterways, and harm wildlife, and domestic animals. And three, it comes at an extreme cost to the government and I’m sure you’ll all agree that government money should be spent elsewhere. So, for legitimate rubbish removal, an ethical and professional man and van service, call Clearance and Cleanup. If you have any questions or comments, or even disagree with me, please let me know, I’m always happy to hear from you.